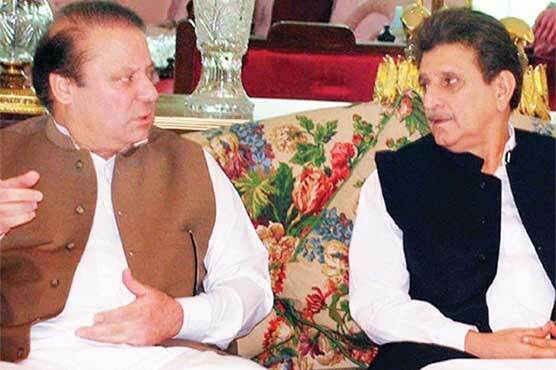 Lahore : Prime Minister Muhammad Nawaz Sharif on Sunday congratulated Raja Farooq Haider on being elected as the Prime Minister of Azad Jammu and Kashmir. According to a PM House statement, he expressed the hope and confidence that the new AJK prime minister would work for the development and prosperity of the people of Azad Kashmir and support the people of Indian Occupied Kashmir in their just and legitimate struggle for their right to self-determination. He assured the newly elected prime minister of AJK of his fullest support in extending the development and reform agenda of the federal government in AJK as well which aimed at revolutionising the lives of people socially, economically and politically.